Home automation has come a long way... and who knew it would be built around speakers?! We talked a couple of months ago about privacy in the home, and the impact that Voice Assistant’s such as the Google Assistant, Amazon’s Alexa and Apple’s Siri are having in that space. All important stuff, without a doubt, however, many people see the benefits of such services outweighing the potential privacy imposts (until of course something happens!) because of the convenience that they can bring to their daily lives. Less than 10 years ago, many of my friends and family would often ask me, what’s the best set up for home automation? Of course, home automation for one person would be completely different than to the next, and so often a few additional questions were necessary, but usually, the Holy Grail of home automation for most was the ability to simply be able to walk around their property, speaking commands as they moved, and activities would occur around them in real time with instant feedback. Being able to say things like “Music on”, “Sure”; “Volume up”, “No problem”; “Lights dimmed and slow-cooker on”, “Certainly Sir”, were the stuff of dreams back then. Even to get close to this level of automation and response (and by pressing key-pads to make it happen), you needed an expensive custom installation solution powered by the likes of CBUS or Crestron to deliver you Home Automation services within your home, but there still was no voice activation or voice recognition, and often the interfaces to control these solutions were designed by an engineer who had built the hardware rather than a User Experience specialist. Often, you would also have to run separate cabling throughout the home, and it was dedicated to only that solution, so your other devices or equipment wouldn’t talk to each other. All in all, to achieve even the basic levels of home automation was an expensive, and a rather inflexible exercise. When Amazon launched their Alexa service alongside the Amazon Echo in early 2015, and then Google followed suit with the Google Assistant in the Google Home in late 2016, people began to get a taste of what is really possible using interactive voice recognition and associated services. I was a relatively early adopter of the Echo, ordering one from the US in mid-2016, and have used it in both my office as well as home. 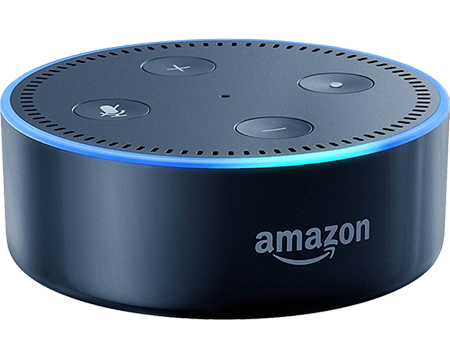 Recently, I bought an Echo Plus as well as an Echo Dot, that sit in various positions around my home, alongside the Google Home as well as the Google Home Mini that I bought when these launched in Australia. Whilst the competing brands products won’t talk to each other yet (although I saw a pretty cool video recently of them having a conversation to each other), they can do some pretty amazing things. For me, the biggest thing initially was music. We have a plethora of people in the home at any one time, all with different music tastes, and being able to play different songs to different devices, or, when necessary, use the Amazon devices to play multi-room sound for the one song simultaneously all around the home, is really useful. But it wasn’t long before I slowly started seeing other use cases for them all, and slowly I found myself using Voice Assistants for more and more day to day things. I would use them as an alarm to wake up, to get a quick news update in the morning, check the weather, check the drive to work for any traffic congestion before I left. I have one connected to my coffee machine via one of our D-Link Smart Plugs, so that it turns on when I tell it to in the morning. I also connected a Google Chromecast to my AV Receiver, so now I can push video footage streaming from our D-Link Smart cameras straight to my TV in the living room and switch between different video feeds using just my voice as well. Of course, a stable and solid Wi-Fi network is critical to achieving great results from these Voice Assistants, so make sure you are using a decent router. I also find myself using the technology on my mobile phone a lot more too. I’ve seen too many accidents due to mobile phone usage in cars, but with the associated Voice Assistant Apps you can now just kick off a question with ‘Ok Google’ or ‘Alexa’ and ask the question whilst driving along, all whilst keeping my hands firmly on the wheel and my eyes on the road, which is great. As you can probably tell, I’m excited about the possibilities that Voice Assistants can bring to people’s lives, and I’m keen to hear about your tricks and tips on what they have done for you too.